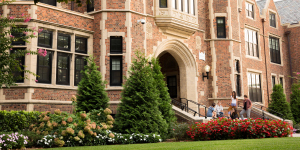 Wagner College, a four-year private college, is known forits innovative curriculum connecting a liberal arts education to practical learning experiences throughout New York City. Wagner College is located in New York, New York. Just a short ferry ride across the harbor, Wagner students canexperience all the city has to offer, including internship, educational, social, and cultural opportunities. Type of School: Wagner College is a competitive four-year private college founded in 1883.
campus that overlooks the Atlantic Ocean, New York Harbor, and Manhattan. Our campus includes four residence hall buildings, the Spiro Sports Center, Hormann Library, two performance theatres, modern science and technology labs, a planetarium, and several athletic fields. Number of students: Undergraduate enrollment: 1,850; graduate enrollment: 375; the average class size is 17 students. Number of faculty: 100 full-time faculty, with 90% holding the highest degree in their field of study; faculty are required to teach all undergraduate courses, and 92% of students say their faculty are available and helpful. graduate programs (see full listing to the left). Diversity Action Council (DAC); and the Internationalization Action Council (IAC). assistance. Scholarships, grants, and campus employment are available to international students. 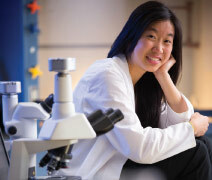 Wagner offers one Trustee Scholarship (full tuition) through a selective process each year. 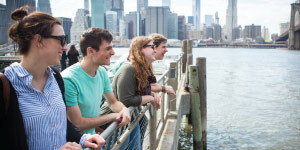 Set on a hill overlooking the Atlantic Ocean and New York Harbor, Wagner’s 105-acre park-like campus is only a ferry ride away from the cultural, intellectual, and professional heart of Amer-ica—Manhattan. Beyond the classroom, Wagner offers a full spectrum of student activities—including more than 90 student clubs and organizations—that not only enrich the undergraduate years but serve to prepare students for the challenges of life after graduation. As an NCAA Division I institution, Wagner offers nine men’s and 13 women’s sports. Intramural programs and the College’s 93,000-sq. ft. sports and recreation center provide all students with athletic opportunities.